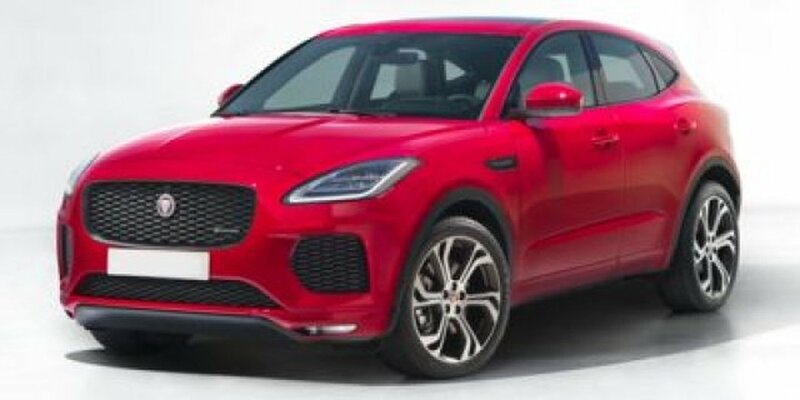 This Jaguar E-PACE has a dependable Intercooled Turbo Premium Unleaded I-4 2.0 L/122 engine powering this Automatic transmission. WHEELS: 20 5 SPLIT-SPOKE GLOSS BLACK (STYLE 5051) -inc: Tires: 20 All-Season, SMARTPHONE PACK -inc: Android Auto and Apple CarPlay, SIRIUSXM SATELLITE RADIO & HD RADIO. * Drive Your Jaguar E-PACE SE in Luxury with These Packages*SANTORINI BLACK METALLIC, RED BRAKE CALIPERS, PASSIVE KEYLESS ENTRY, MARS RED/EBONY, WINDSOR LEATHER SEAT TRIM W/STITCH, ILLUMINATED METAL TREADPLATES W/BRAND-NAME SCRIPT, HEAD-UP DISPLAY, GLOSS BLACK ROOF RAILS, GESTURE TAILGATE, FIXED PANORAMIC ROOF, DRIVE PACK -inc: Adaptive Cruise Control w/Queue Assist, Blind Spot Assist, High-Speed Emergency Braking, COLD CLIMATE PACK -inc: Heated Windscreen, heated washer jets, Heated Steering Wheel, BLACK EXTERIOR PACK -inc: gloss black side window surround and gloss black side vents, Gloss Black Grille w/Gloss Black Surround, 18-WAY COOLED FRONT & HEATED REAR SEATS, Wheels w/Silver Accents, Valet Function. * Visit Us Today *Come in for a quick visit at Jaguar Land Rover Lakeridge, 280 Achilles Rd, Ajax, ON L1S 7S3 to claim your Jaguar E-PACE!Prices include all fees except licensing and HST.